When Pro-Line had an issue with one of their car kits, who did they call to fix it?...MIP OF COURSE! For those of you who are familiar with this car kit, it has had a major issue where the Pivot Balls have weak points where the threading and the shoulder meet ultimately causing the Pivot Balls to break creating a major issue for people. Well Pro-Line challenged us to create a Pivot Ball that fixed this issue and WE DID! We increased the diameter where the shoulder and threading meet for increased strength as well as manufactured these Pivot Balls using High Impact, Alloy Steel. 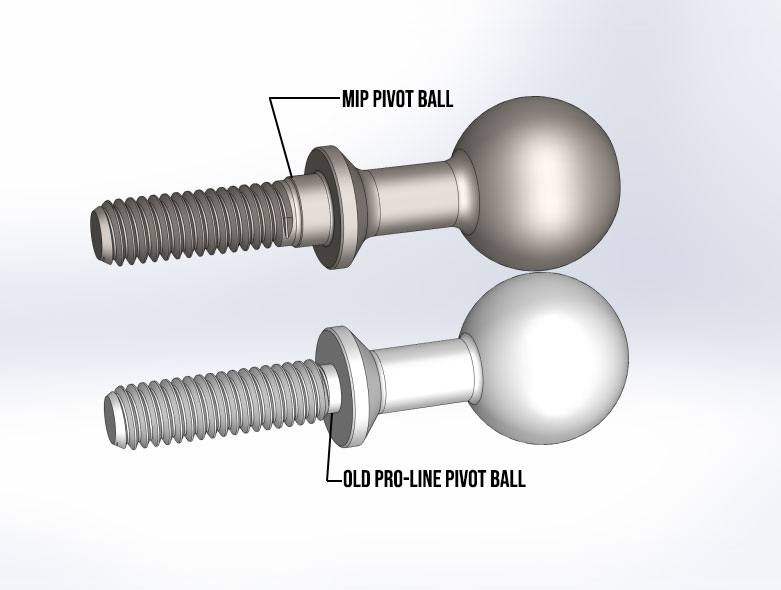 The Pivot Balls are now far superior compared to the stock Pivot Balls and will be hot sellers! 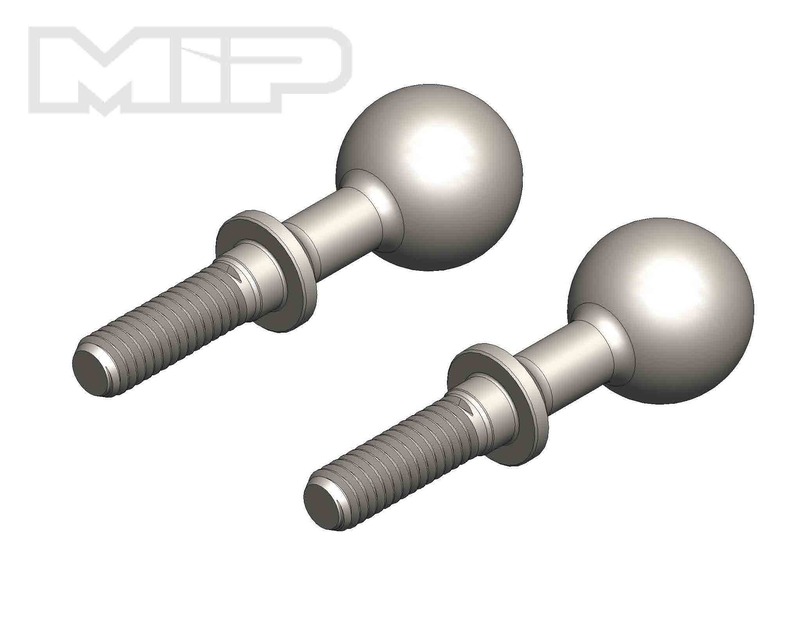 High quality you expect from MIP products! Hope to see more from MIP for the PRO MT 4x4.